The new way thieves use to bypass modern vehicle security have been revealed in this new eye-opening post. Technology is rapidly changing to prevent vehicle break-ins, but what techniques are thieves evolving in response? And what can car owners do to guard against these high-tech crimes? Life is not like grand theft auto. Criminals cannot simply walk up to a car and drive it off. Equally the days of smashing a window and hot wiring cars are well and truly over. According to crime figures, the amount of cars stolen reached a 50-year all time low in 2015, with 69,547 vehicles being taken in an unauthorised manner. However, thieves know that they only have to find vulnerability in any type of vehicle and they can exploit this endlessly to steal as many of this make and model as possible. And they are getting better all the time at bypassing countermeasures like alarms and immobilisers. What are these new techniques, how do they work, and more importantly what steps can vehicle owners take to thwart the thieves in their tracks, stopping them from driving off with a stolen car? What happens when you lose your car keys with the transponder system on them? You call a locksmith and they now make a new key for your vehicle. While technology isn’t available to everyone, you can find information about how to make cloned keys readily on the internet. 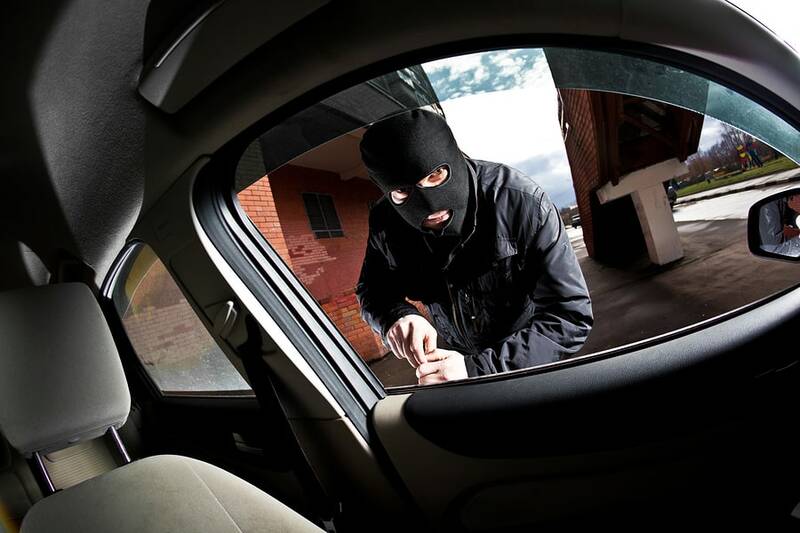 Thieves, therefore, often target locksmiths to gain access to the systems to duplicate car access tools. Additionally, thieves are using booster signals that could use a signal from your key to fool your car into thinking that the engine has been turned on and authorisation granted for the front doors. Unfortunately there are very few counter-measures that can prevent a determined thief from using this hack. Experts say that placing your key fob in the freezer may help to a certain extent, but the only sure-fire way to stop criminals from using boosters is to place them in a faraday cage. This fine wire cage dissipates all electrical signals and stops boosters from working. Although it sounds like something out of a science fiction film, criminals could actually block the signal travelling from your wireless key fob to your car. This means that when you think you’ve managed to lock your car, and it’s sitting safely on your driveway or in a car park, it could actually be wide open for anyone to jump in and steal. This type of crime is on the rise, with jamming devices now available on the open market for as little as £35, making this an incredibly accessible form of car crime. There have already been crime reports of thieves being reprimanded with these devices in large city centres including Manchester. The motoring industry is advising people to double check their locks before leaving their vehicles, particularly when parked in large public car parks. It may seem like a simple step, but don’t take it for granted that your key fob has worked, even if you hear the familiar noises you associate with the vehicle locking. This one is a good old fashioned case of vigilance beating the potential thieves. Another way of duplicating a car’s entry system is with a scanner box that allows you to capture code and send it through to the locking system, as if it was sent by the key fob unit. Some of the more advanced systems could even be used to start an engine, although this practice has yet to be uncovered by the police. Fortunately, although such devices are in existence, few people have been caught using them. That’s not to say that scanning devices won’t be on the rise in years to come. As with all technologies, it is possible that scanners will become smaller and easier to use, making it difficult for the authorities to notice potential thieves in car parks and streets. As this is such a new system, it is hard to predict how much of a problem it might become. Older models of car will always be easier to steal than newer vehicles and therefore it’s good to keep on upgrading your vehicle with the dealer if you’re the type of driver who prefers a lease arrangement. This way you will effectively stay one step ahead of the thieves. Equally manufacturers may well make chip and software updates available for your vehicle that resolve any vulnerabilities in the system, so it pays to keep on top of news for your particular make and model. Apparently, a large number of immobiliser chips featured in hundreds of makes and models of car have a vulnerability that can be exploited with scanning technology. Thieves listen in on the signals between your car and the locking system and with the help of a little technology in half an hour they can disarm the immobiliser, taking away one of the vital security barriers stopping them from stealing your vehicle. You can find out if your car is one of those that have the specified chip in it with a very simple search on the internet. While this will not deter potential criminals, it will let you know to be a little more observant as to who might be lurking around in your local area. Thieves need to listen to two signals in order to break the encryption on the code that’s sent to your car. This means that scammers are more likely to try this in residential areas than car parks, so as to ever keep a vigilant watch for strangers in your area, particularly people in stationary vehicles who seem to be waiting around for no reason. While not so much about robbery, it does seem that some whizkids out there understand how to use signals from DAB radio to take control of certain vehicles’ remote navigation systems. Experiments were run by prominent technology blogs that proved that these vehicles could be completely hijacked and driven off. Whilst this type of crime doesn’t currently show up on police radars, there’s a chance that robberies like this may be something we’ll have to deal with in the future. Carjacking could become a real problem, with occupants being driven to remote locations where they’ll be relieved of their vehicle. Unfortunately there doesn’t seem to be too much you can do to prevent this kind of crime, save for placing some of your car’s systems in a lead box, which will unfortunately defeat its ability to resolve your navigation difficulties. The best advice is probably not to purchase one of the vehicles that suffers from this vulnerability, by ensuring you fully research any car you’re thinking of owning. You know how Facebook and Google are watching your habits on the internet to work out your buyer behaviour? Imagine if your vehicle started doing the same thing. Self-driving cars will gain a whole load of data about your personal habits. Where you go, who you see and what time you like to do things. And no doubt somewhere this information will be used to market goods and services to you. Whilst the manufacturers and tech companies will argue that this allows them to streamline a better consumer experience for their customers, will it translate to endless targeted advertising on your radio and your vehicle trying to suggest new restaurants to you as you drive down the road? Whilst not really a crime, many people feel uncomfortable about this unspoken form of surveillance and would rather that the larger data companies stopped looking into their lives. Fortunately, the software on smart cars and self-drive vehicles may well feature opt-out clauses that prevent information harvesting. If so, details on how to do this will be readily available in a quick Google search, strangely enough.